Salon iris is one of, if not the best alternative to the traditional physical appointment book. 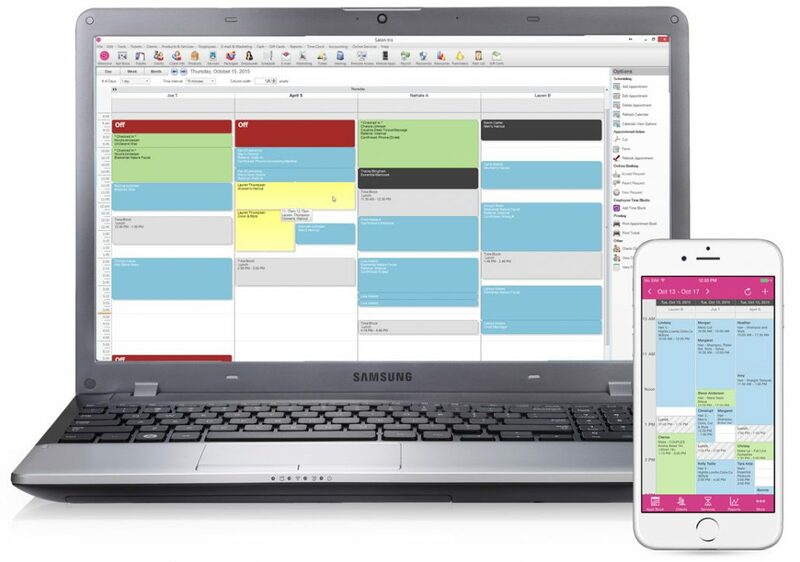 This digital salon software makes scheduling appointments fairly simple, in addition, it eliminates the requirement for any form of paperwork. Moreover, the software also includes client management, point of sale capabilities and marketing features to name a few examples. Total Control – Focus your energy on clients with access anywhere to scheduling, key performance reports, and much more. Leave The Lights On – Craft a unique salon website and increase bookings by allowing clients to book whenever it’s best for them. Stay In Touch – Being connected is essential. Increase client retention, loyalty, and profit with simple, targeted marketing. Keep Your Chairs Full – Everyone’s schedule is in one place. Say so long to no-shows with automated reminders and text confirmations. Rinse & Repeat – Every point of sale transaction is tracked and tied to each client’s purchase history, providing quick rebooking. Roll everything employees do, sell, and earn into a complete business management system. 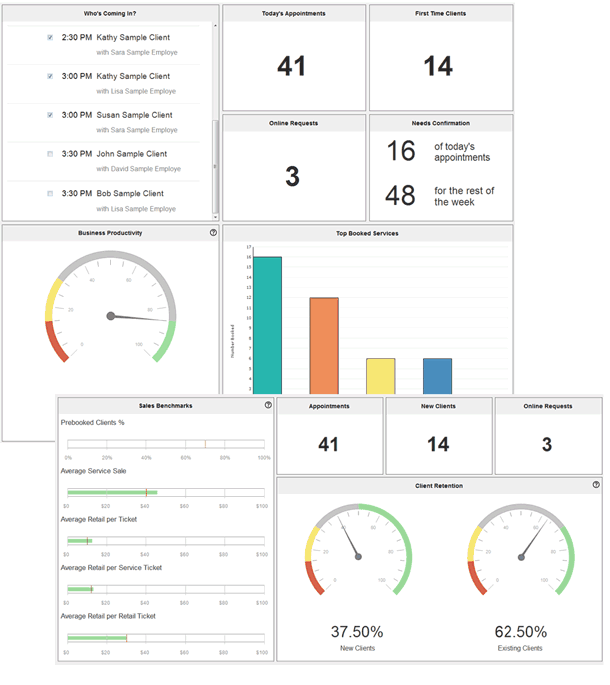 Get ready for your upcoming day with our Dashboard, complete with Business Summary, Productivity Meter, Top Booked Services, and more. Run payroll when it’s time and all the calculations for tips, commissions, and sales are already done. Print the checks from the software instantly. Integrate with QuickBooks for complete accounting. Space for more appointment bookings. When a client contacts you via call or text, all you should do is open the software and add them to the schedule. Moreover, online bookings can be added depending on availability. Receive a list of clients that need confirmation calls and send automated reminders to clients that have upcoming appointments, all that is required is to schedule the appointment and the software will handle the rest. Customizable interface to suit your salon as you like! Simple check in; all you should do is select the appointment and click check in to confirm the client has reached!